Race day dawned… my 2nd marathon and one which had such great reviews in the past I just had to do it. I knew it was a bit more low key compared to London but I was still incredibly excited. There was the full marathon and the metric marathon (26.2km) being ran on the same day by around 5,000 runners in total. 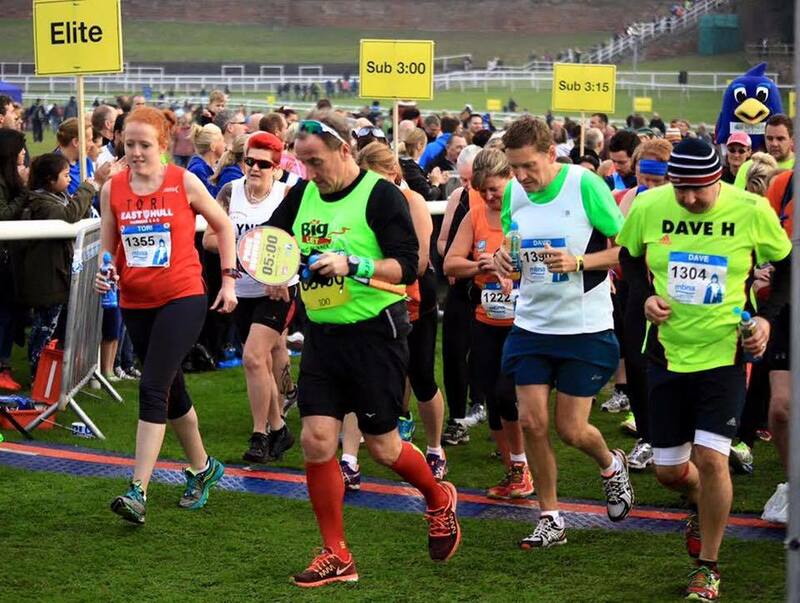 It started and finished in Chester racecourse which made for a great start point as it was buzzing with plenty of nervously excited runners. 8:45am soon came round and we were all called to start getting into the relevant time pens. I opted for the sub 5 pen knowing full well they would help me keep the pace and if I felt strong I could go slightly ahead. Pacers were in full force as usual and as ever encouraging. The course took a loop around Chester racecourse before heading out onto the streets of Chester where you wind through the city then out into the Cheshire countryside. It is described as the only international marathon in the UK as it does weave in and out of villages which are classed as being over the border in Wales. It made for a very scenic route with little villages along the way and local people out cheering everyone on. Described as a “flat” marathon it is rather undulating if you are expecting total flat. I got to the half way point still feeling quite strong and well on track for my sub 5 time. It wasn’t until about 18 miles that it dawned on me just how far I still had to go, I wanted that sub 5 time badly but really didn’t know if my legs were going to hold up. I hadn’t been totally fit and well in the last couple of weeks but there was no way I was giving up. A few walk breaks later and a stern talking to myself I soon found I was at mile 23. Chester were trialling a scheme called the Race Angels, runners who were there from mile 24 (just after the biggest hill on the course!) just to run a little with you. A good friend Adrienne was one of them, she saw me and ran about half a mile with me, gave me some brilliant words of advice and I was ready to finish strong. It really was a great marathon, very scenic and well supported. The medal at the end was beautiful and it made a change to get a long sleeved race tech top which will be ideal for those winter runs. Would I do it again? Without a doubt! Just maybe not the day before Im due back at uni!